We are accredited in the international market as trusted Rock Fall Protection System manufacturers, suppliers & exporters. The Rock Fall Protection System is available in different sizes in order to meet the diverse requirements. This is installed at the mountain site or cliffs in order to contain or restrain the rock fall. We manufacture our meshing with premium grade raw materials. The product is made with material having high strength that can prevent the free fall of rocks. Keeping in mind the end goal to give extra quality in our products, we have additionally utilized rust-resistant covering so that these can withstand unfriendly condition. Details : Banking on our advanced manufacturing facility, we are capable of entertaining customized requirements of the clients. They should provide us the specifications and we will create the product according to their needs. 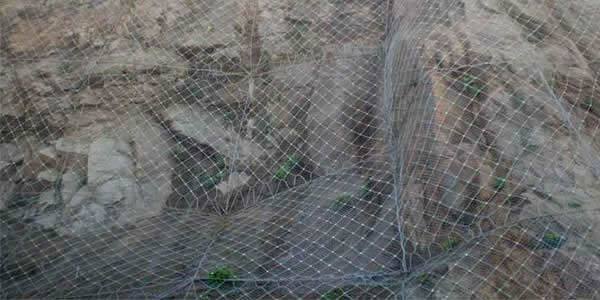 We come in the league of prominent Rock Fall Netting suppliers & exporters. Owing to our trusted international network, we are capable of entertaining your requirements in due time.